Anthem is an action RPG that takes users to a world threatened by an evil group called the Dominion, which wants to take control of the Anthem of Creation, an object of immense power. Users become a Freelancer, a soldier who wears powerful, customizable suits called javelins while on missions and during combat. Each javelin gives players advanced abilities, such as being able to fly and swim underwater. There are multiple kinds of javelins to choose from, each with different specialities. For instance, one suit may focus on speed and agility, while another has greater offensive and defensive power. Anthem will allow players to explore an open world, defeat enemies, and more both on their own, and while playing with other real users. 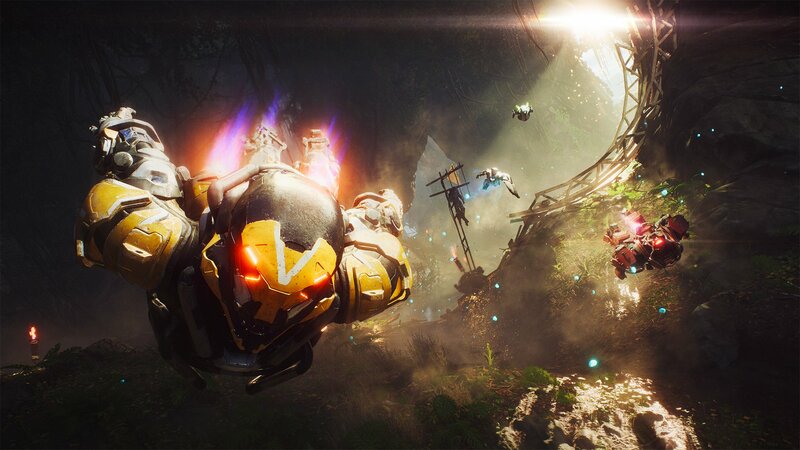 At its core, Anthem was built to be a cooperative experience, letting up to four players team up to play together. This will include the ability to play with strangers through the game’s matchmaking system. Since Anthem was meant to be played in groups, solo players may find some of the enemies (especially stronger boss characters) to be difficult to defeat without help. Anthem is set to release on PlayStation 4, Xbox One, and PC on February 22, 2019. The game is rated T for Teen by the ESRB. It will include optional in-app purchases. Visit our guide for tips on how to keep your family safe while playing online games. Check out 32 minutes of Anthem gameplay in our SuperParent First Look below.